Get it at Amazon or Smashwords! Description: They don't call him Jackpot for nothing. Why I want to read this book: I found the author's blog on Goodreads, and I thought, "She sounds nice. I'll check out her blog." So I went. And then I read her post about being an indie author and all the things she's done to try and get her book out there, and I thought, "She kinda sounds like me. I'm going to check out her book." So I clicked on the sample chapter she had available on her blog. And I was immediately impressed by the writing. I was interested. So I went to the link to her book, and thought, "Wow. This sounds really good. I love vampires. 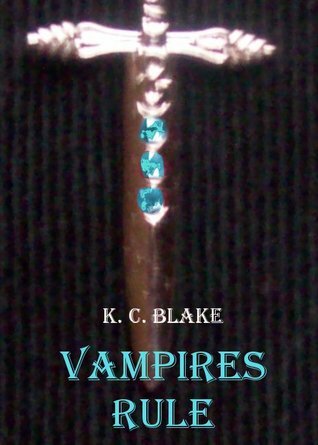 I like a good romance with issues--and a vampire dating a vampire hunter is full of issues. Especially since he's not a vampire anymore. What!" I did check out the reviews she had up on Amazon already, and they were pretty positive--even the ones with "feedback" were pretty positive. I'd say that is an excellent thing. So, to sum up: vampires? check. romance? check. indie author? check. I had the book on its way in minutes!